Grown at Hutchinson Farm since 2017. Available May 2018 in 4½" pots. It’s commonly known as a Livingstone daisy, but how can you resist a name like Mezoo! Although this trailer has small red flowers, it's mostly about the green and white leaves. It excels in baskets and containers, but it can be used as a ground cover. 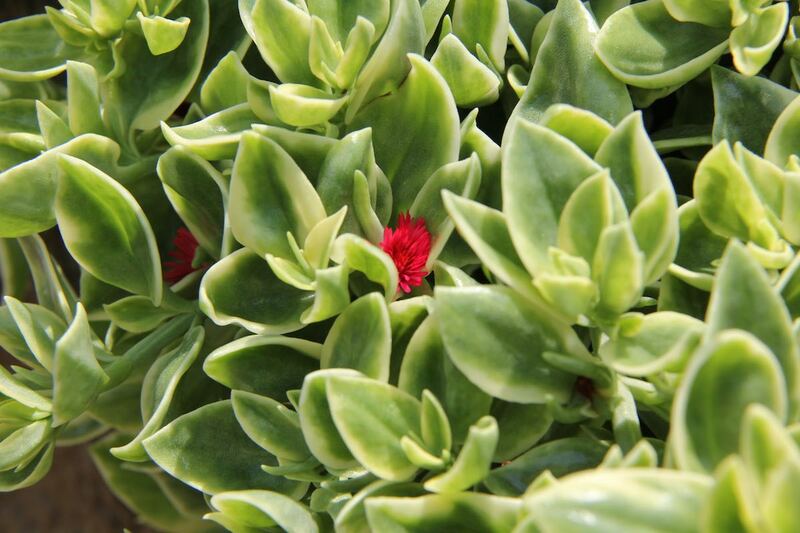 The dense thick leaves make it drought tolerant, but it will grow much better when watered!